Acciona Energy Poland Global Sp. z o.o. Member of ACCIONA Energía Group – world leader in the renewables in general and in wind energy in particular. The company has taken on the mission of demonstrating the technical and economic viability of a new energy model on the basis of criteria of sustainability, with a presence in all renewables, acting in the different phases of the value chain and investing in all major markets. Baltic Trade and Invest Sp. z o.o. works on the project of the offshore wind farm FEW Baltic II, total nominal power 350 MW. Company responsible for strategic activities management of CEZ Group in Poland. CEZ Polska Sp. zo.o. supervises CEZ Group companies in Poland, is responsible for restructuring and integration of their activities in accordance to the CEZ Group standards and carrying out identification of investment possibilities, as well as implementation of new projects. Investments and development acitivity area is comparable with CEZ Group, including: extraction of the energy carriers, power generation (from traditional and renewable sources), energy trading, distribution, services and delivery to the final consumer. CJR Polska Sp. z o.o. Being the wind energy branch of CJR Renewables, company that belongs to CJR Group (established in Portugal since 1970), CJR Wind is an EPC/BoP onshore wind construction company, performing civil, electrical and WTG installation works. In this business since 2002, it has offices in the UK, Portugal, Spain, Poland, Romania, LATAM, Germany and Asia/Pacific. Currently, CJR Wind is proudly stablished in 3 continents, having participated in more than 190 wind farms and 3500 MW. The scope of works offered by CJR Wind includes: designing, optimization of projects, roads construction, platform construction, soil improvement, construction of foundations, landscape restoring, construction of substation and control building, MV and HVL, pre-commissioning and commissioning before providing services, security and protective systems for the wind farm and maintenance of wind farms in operation phase. E.ON group is one of the top energy companies in the world. It generates and distributes electric energy in more that 30 countries and serves over 30 million customers. E.ON Energie Odnawialne is a daughter company of E.ON Climate & Renewables which invests in global- scale renewable energy- wind farms, biomass, photovoltaic (PV), and tidal power. Wind energy takes special place as the global wind turbines’ capacity reached 4,800MW and is still growing. Polish regional unit’s main focus is development and expansion of wind farm projects across the country. EDF Energies Nouvelles is a leader in the production of renewable energy. The company develops, installs and operates green electricity power plants in Europe and North America, primarily for its own owner-operator account and for third parties. Sun, wind, water, plants… by drawing upon natural, renewable resources, EDF EN aims at providing competitively-priced carbon dioxide-free alternate energies equivalent to traditional sources. 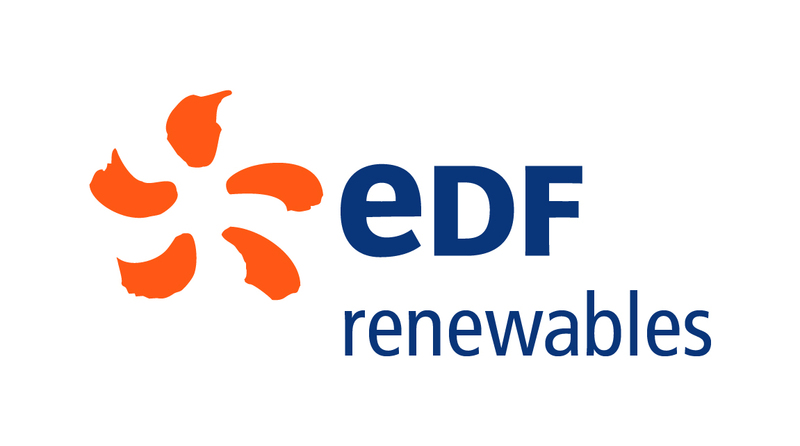 EDF Energies Nouvelles gives priority to the development of wind energy and solar photovoltaics. Focused on the evolution of other emerging technologies, the company is also a player in the biogas, biomass, biofuels, and marine energy sectors. A subsidiary of Group EDF, the company benefits from the support of a leader in the production of electricity.EDF EN intends to extend its international footprint in Poland by developing, building and operating wind farms. EDP Renewables (EDPR) is the renewable energy company of Lisbon-based EDP (Energias de Portugal) and the world’s third largest wind power operator. Headquartered in Madrid, EDPR is present in 11 countries across the globe: Portugal, Spain, France, Belgium, Poland, Romania, Italy, United Kingdom, Brazil, United States and Canada. In those countries, EDPR operates onshore plants with a global installed capacity of more than 7.2 GW. The company also has a pipeline of 1.3 GW of offshore plants to be constructed in the United Kingdom. In Poland, EDPR is a leading company and manages a portfolio of 190 MW. Enercon – producer and supplier of wind turbines, known for gearless technology. Leader at the German market in the extent of installed capacity, and at the world market – third position. The produced turbines possess nominal power from 330 kW to 6000kW. Enercon is also present at the Polish market, turbines work at the coast in pomorskie voivodship and in the centre of Poland, a wind park with the capacity of 30 MW is being built at Kamieńsk Mountain, near Bełchatów. One of the biggest German producer of electrical energy generated in renewable sources; focused on planning, building, maintaining and servicing of wind parks as well as biomass power plants. Active in Germany, France, Poland, Italy & UK. In Uckermark owner of 20 & 110 kV grid and trafo stations. Equinor is an international energy company present in more than 30 countries worldwide. Formerly Statoil, Equinor is headquartered in Stavanger, Norway. There are over 20,000 employees developing oil, gas, wind and solar energy around the world. Equinor is also a world leader in carbon capture and storage. Equinor current offshore wind portfolio has the capacity to provide more than 1 million European homes with electricity from renewable energy. The company operates three wind farms off the coast of the UK and is engaged in further large-scale wind projects offshore the UK, Germany, and the US. Equinor is pioneering innovation in offshore wind solutions for deeper waters. Hywind Scotland is the world’s first floating offshore wind park. Equinor seeks to establish its energy business in Poland by developing offshore wind projects in the Baltic Sea. 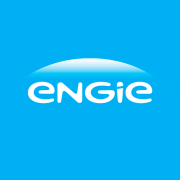 ERG Power Generation is a 93% owned subsidiary of ERG, one of the leading energy groups in Italy, listed on the Milan Stock Exchange with a market capitalization of approx. EUR 1.6 billion. The remaining 7% is owned by UniCredit. ERG Power Generation is one of the largest onshore wind producer in Europe, with 1,340 MW fully operating wind energy portfolio with assets located in Italy (1,087 MW), France (64 MW), Germany (86 MW), Bulgaria and Romania (54 MW and 154 MW respectively via a 50/50 Joint Venture with the Russian Group LUKOIL). ERG Power Generation has recently entered Poland, with the acquisition in July 2014 of the first project (42 MW) and now has three projects under construction for a total of 80 MW. ERG Power Generation business model is fully integrated along the whole value chain of the wind industry: country analysis, development, wind assessment, engineering, construction, HSE, O&M activities. With wind turbine design and/or manufacturing facilities in Germany, Spain and the USA, GE Energy’s current wind energy portfolio includes wind turbines to 2.5 MW and support services ranging from project development assistance to operation and maintenance. Ibereolica is a subsidiary of Iniciativas Energéticas SA, founded in Poland for the purpose of design, construction and carrying out of projects involved with generating power from renewable sources. The company is owned by Uriel Inversiones Group operating in Spain since 1927, currently engaged in such sectors as renewable energy sources, biofuels, solid waste treatment and neutralisation, production of biogas from solid waste, manufacture of automotive components, agricultural and breeding industry, food industry and real estate services. However, the main field of Group’s operation is renewable energy sources. At the moment we own water energy plants with the total power of 14.2 MW, wind farms with the total power of 268.4 MW and PV with the total power of 27 MWe. Our strategy in Poland incorporates creating wind farms with the total power of 412 MW. innogy Renewables Poland Sp. z o.o. K&L Gates is a one of the leading global laws firms. Operating in more than 40 offices located on four continents. Our practice is a robust full market practice — cutting edge, complex and dynamic, at once regional, national and international in scope. With substantial experience also in advising members of the country’s government, our lawyers provide Polish and international clients with a broad range of transactional, advisory, and dispute resolution services. The Warsaw office key practices include corporate, mergers and acquisitions, capital markets, intellectual property, media and new technology, dispute resolution, regulatory, and public procurement/government contracts, energy and infrastructure, innovative power industry and environmental, banking and finance, construction/real estate and the defense industries. Headquartered in Denmark, Ørsted’s 5,600 employees develop, construct and operate offshore wind farms, bioenergy plants and innovative waste-to-energy solutions and provide smart energy products to its customers. Ørsted has a vision of creating a world that runs entirely on green energy. Ørsted has transformed from being one of the most coal- and oil-intensive energy companies in Europe into being one of the greenest global leaders in offshore wind. As the world’s leading developer of offshore wind farms, Ørsted has installed 5,1GW offshore wind capacity in Europe and has a further 3.8GW under construction. It is Ørsted’s ambition to have installed a total offshore wind capacity of 11-12GW worldwide by 2025. Locally Ørsted employs over 150 employees who are providing support in IT and Finance. Ørsted IT delivers professional, stable business solutions and drives the digital transformation of the Ørsted group. Ørsted Finance supports the business in making optimal decisions and ensure healthy and proper financial management. Przedsiębiorstwo Budownictwa Drogowo-Inżynieryjnego S.A. executes construction works on wind farms as General Contractor. The scope of Company services includes the design and construction of foundations, access roads, crane platforms as well as power engineering works (i.e. the design and construction of substations, MV and HV cable lines). The Company has signed nearly twenty contracts for the construction of wind farms on the territory of Poland and completed them successfully, some of them as General Contractor. A few projects were implemented on a turnkey basis (EPC) – the scope of works included the delivery, installation and start-up of the wind turbines. PBDI S.A. functions in the Erbud Group. PGE Energia Odnawialna S.A. is a subsidiary of PGE Polska Grupa Energetyczna S.A. – Poland‘s largest power conglomerate and one of the largest power sector players in Central and Eastern Europe. The Company was established in 1993 as a result of restructuring of the Polish power sector. Back then, it operated under the name of Elektrownie Szczytowo Pompowe S.A. In 2010, a decision was made to consolidate the PGE Group‘s renewable energy assets. As a result, a new Group was established, comprising 21 subsidiaries. Within PGE Energia Odnawialna S.A. there are four separate operating Branches. Currently, the Group manages 29 hydroelectric power plants and one wind farm. It is also implementing a number of development projects focused on the use of wind, water and biomass energy, as well as on photovoltaics (solar energy). The Group‘s core business consists in the generation of electric power from Renewable Energy Sources (RES) and the provision of Ancillary Control Services (ACS) (under an agreement with PSE Operator S.A.). The total installed capacity of the Group‘s generating units (hydroelectric power plants and wind farms) amounts to approximately 391 MW, which gives it an approximately 17.1% share in the Polish market of power generation from RES*. In 2010, PGE Energia Odnawialna S.A. and the Group companies generated approximately 1,005 GWh of electricity, relative to 924 GWh in 2009 and 889 GWh in 2008. Moreover, in the same year, the Group sold property rights attached to Certificates of Origin with a total value representing approximately 475 GWh of output. The objective behind the Group‘s strategy is to maintain its position of a leading provider of Ancillary Control Services and to become Poland‘s leader in renewable energy generation from water and wind. The main development directions of PGE Energia Odnawialna S.A. are to implement projects involving wind power generation and use small hydroelectric power plants. Polenergia SA is the first Polish private group in power industry made up of vertically integrated companies functioning in the area of generation of power from conventional and renewable sources, as well as distribution and trade of electric energy. It was formed by consolidation of two groups of assets controlled by Polenergia Holding S.àr.l with its registered office in Luxemburg. PEP Group (Polish Energy Partners SA) – a company listed on the Warsaw Stock Exchange, implementing power engineering projects based on renewable energy sources. In 2012 the company was taken over by an entity of the Polenergia Holding S.a r.l. Group. The assets of Polenergia Group focused on generation, distribution and sale of electric energy and certificates of origin, trade of electric energy and certificates of origin, and development of new projects in the field of (renewable and conventional) power generation and gas transmission. The process of integration of the two groups has lasted since 2013. The culmination was the contribution of Polenergia’s Group asstes to PEP SA in exchange for the new issue shares. Polenergia SA is listed on the Stock Exchange. The Company is a vertically integrated entity specialized in implementing projects from generation of electric energy from conventional and renewable sources to distribution of electric energy and gas and sale and trade of energy and certificates of origin. An independent leader of green electricity production in France, in 2015 has also started its operational activity in Poland by acquisition of juwi Energia Odnawialna and Eolfi Polska. Quadran works with the main sources of renewable energy: wind power, photovoltaics, hydraulics, biogas, and biomass. Thanks to this diversity of production and the strength of its local presence, Quadran is a leading figure in the energy transition in France and in overseas territories. RP GLOBAL is a privately owned IPP (Independent Power Producer), developer and investor in renewable energies. Following 20 years of specialization in hydropower activities RP Global has diversified into wind energy projects in mid 2000. During the last 30 years more than 30 power plants were developed and constructed in Austria, Spain, Portugal, Turkey, France, Croatia and Chile. As of today 16 own plants are in operation or construction, as well as numerous others under development. Siemens Gamesa Renewable Energy Sp. z o.o. Siemens Sp. z o.o. offers the widest on the Polish market portfolio of products and services of the parent company. It undertakes every effort to improve the quality of life and to promote technologies that assure effective utilization of natural resources and reduction of environment pollution. Sector Energy, offers all solutions and products related to power engineering both from conventional and renewable resources – complete power plants and their parts, generators, industrial turbines, wind turbines with engineering services. Vestas installed its first wind turbine in 1979 and has since played an active role in the fast-moving wind power industry. With a 20 per cent market share, Vestas is the world’s leading supplier of modern energy solutions. We have installed more than 38 000 wind turbines in 63 countries on five continents. From being a pioneer in the industry with a staff of approximately 60 in 1987, Vestas is today a global, market-leading group with over 20,000 people employed. Our core business includes development, manufacturing, sales, marketing and maintenance of wind power systems that use wind energy to produce electricity. Vortex Poland Sp. z o. o. belongs to the German group VORTEX ENERGY. We are experienced not only in planning and funding, but also in building and management of wind farms. Vortex is currently building five wind farms with a total capacity of 180 MW, which makes us one of the leading companies dealing with renewable energy. Green energy, obtained from the sun and wind, is a good chance to create joint and innovative business in line with nature and its resources. We help institutions, companies and private investors to earn profits from the natural energy. With over 20 years of experience in renewable energy, we carry out projects in many countries. We guarantee expertise, experience and safety of investment to our partners. Innovative solutions based on wind farms and photovoltaic systems are performed in a comprehensive way. We assist our partner at each stage of project development. We also limit operation risk and the time of project preparation. Starting with the choice of s suitable location and ending up with the sale of produced energy, we increase profits by giving business stability and support in developing solutions that use the natural sources of energy. WENTO is an investment company created by Enterprise Investors (http://www.ei.com.pl/en), a leading private equity fund manager in CEE, with over 20 years experience, 7 funds raised for total amount of 1.7 bn EUR, over 100 investments executed. EI is backed by leading global institutional investors and it is the largest and most experienced investment team in the CEE region. EI judged positively the outlook of renewable energy sector in CEE, and allocated 40–60 million EUR from PEF VI Fund to investments through WENTO in wind energy industry in Poland. WENTO started in late 2011, after almost a year of market research and analysis done by EI and after assembling the Team of the most experienced Polish professionals from the renewable and wind energy industry. WENTO is investing mainly into medium size (20-100 MW) wind farm projects, where its equity used during the construction phase of a fully developed wind farm project, creating in this way tangible assets, which can be sold to strategic investors, such as local and foreign utilities, or financial investors, interested in holding of such assets for longer term. Thanks to the “hands-on” approach of our Team to the entire life cycle of the wind farm construction and its financing under the project finance formula, WENTO is able to deliver superior quality assets to the interested off-takers, while assuring attractive returns for the equity provided by EI. The wpd group was founded in 1996 with the objective of drawing up projects for wind farms in Germany. We are the market leader nowadays and have completed projects with an output of more than two gigawatts. We will be pursuing an important pipeline of 7,000 MW onshore and 10,000 MW offshore during the coming years. Nevertheless, in recent years the focus has increasingly been placed abroad, with the wpd group nowadays planning projects from South America to Asia. 600 of our staff are committed to the continuous development of renewable energies.